May is National Asthma Awareness Month. It is estimated that more than 8 percent of the U.S. population suffers from asthma, and the numbers are rising yearly. This translates into 18 million adults and 7 million children with the disease. Asthma causes more than 3,000 deaths yearly, along with 500,000 hospitalizations, 2 million emergency room visits and 9 million doctor’s office visits. The disease costs the U.S. economy $56 billion per year. It has a tremendous financial impact on our families, our nation and our health care system. Asthma occurs when the small airways deep in the lung tissue become swollen and narrowed. This makes it difficult for air to pass through, causing the usual symptoms of wheezing and shortness of breath. Asthma can be deadly if not treated promptly and properly. It is unclear why asthma affects some people and not others. The difference is probably due to both environmental and genetic factors. For some people, asthma symptoms flare up under certain circumstances. 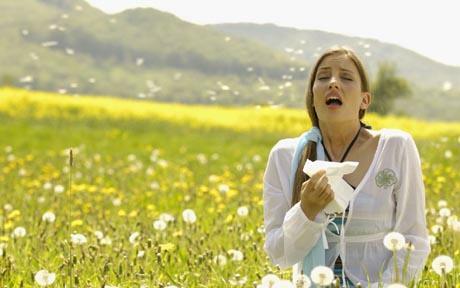 Allergy-induced asthma is triggered by such things as pollen, grasses, pet dander, and dust. Exercise-induced asthma is triggered by exercise or exertion. Occupational asthma results from exposure to chemical fumes, dust or gases. – Having a close relative — a parent or a sibling — with asthma. – Having any other allergic condition, such as hay fever or eczema. – Being overweight or a smoker. – Experiencing exposure to secondhand smoke or other airborne pollution. Treatment of asthma can be broken down into two categories. First, for quick relief, a drug called albuterol is the mainstay of treating an acute attack — one that is happening now. The drug is breathed into the affected lung airways using either a handheld inhaler or a tabletop device called a nebulizer. Second, for longer-term treatment, inhaled corticosteroids, such as Flovent, have revolutionized the treatment of asthma by helping prevent attacks and also helping in the treatment of an acute attack. I can’t emphasize enough how important it is to have an asthma action plan worked out with a doctor. Asthma is an ongoing condition that needs constant monitoring and treatment. In spite of reports of increasing rates of asthma in the population, I have been a witness to fewer patients coming into my practice for treatment of acute symptoms. This has been in large part due to the use of the inhaled corticosteroids, as well as patients working closely with their doctors.